Magenium Solutions is a business and technology consulting firm specialized in website development, Microsoft CRM, identity management, unified communications, .NET development and Office 365. Established in 2007 and headquartered in the Western suburbs of Chicago, we also have offices in Arizona, Florida, Georgia and Minnesota. We are ranked in the top 1% of all Microsoft partners worldwide and feature 13 Gold competencies across multiple Microsoft technologies. 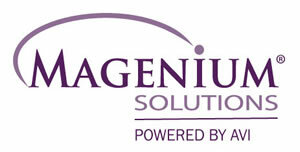 If you’re looking to reduce risk, reduce costs, and increase revenue by updating your technology, visit us at www.magenium.com or contact us at info@magenium.com to learn more. You can also find us at facebook.com/Magenium or twitter.com/Magenium.